Capt Andy and Rich hooked up with good friend Capt Bill Brown of Billfish Sportfishing Charters. There hope was to find some early season tuna. However, the tuna proved elusive and instead they ran into piles of big mahi mahi. They broke out the light tackle and landed dozens of fish. Capt Rich also managed a few fish on the fly! 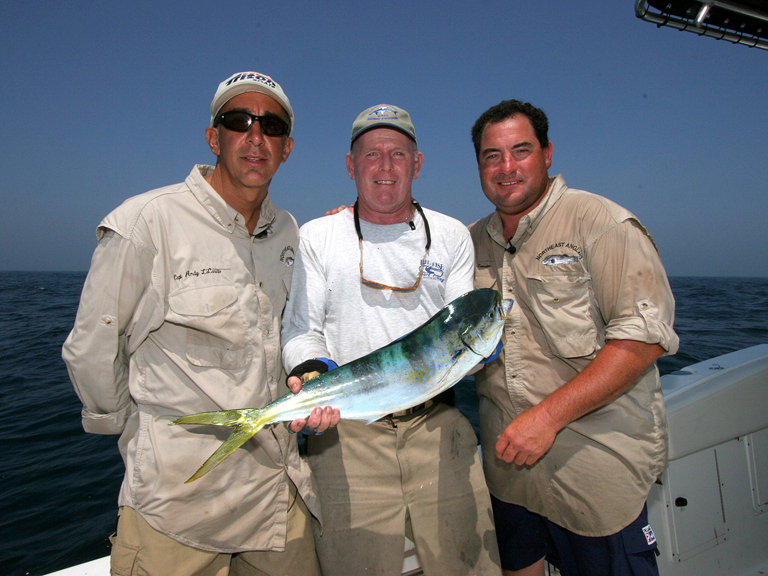 The techniques and tackle used in this show can be used by anyone who comes across these tough fighting fish while fishing the offshore waters. They are good eating and fun to catch. Take your pictures quickly, because the fish will have their best color! Click here for our recommended Mahi Tackle.